OK so I am trying to rig a hand. Simple character so I figure simple rig…wrong. when i add my constraints, the bones do weird things. for one, the whole arm rig moves when i put an IK constraint on the hand. 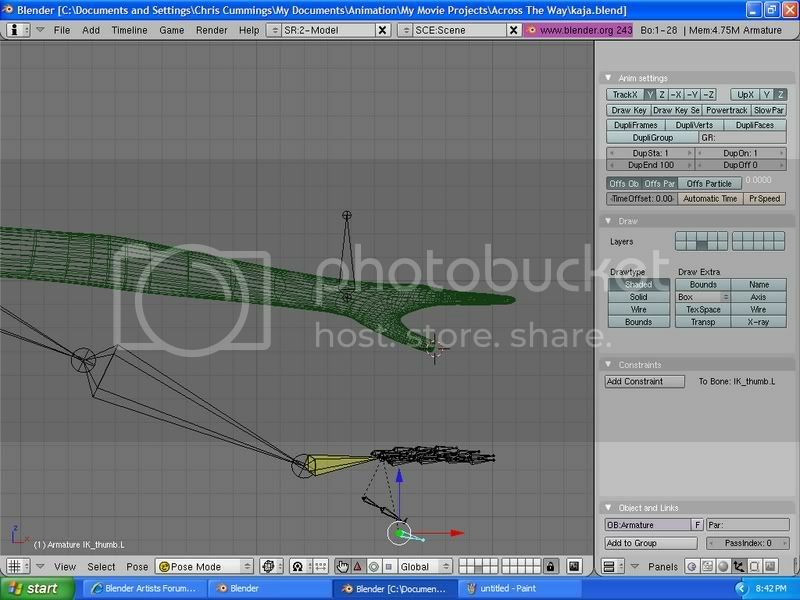 (see pic) when i put an IK constraint on the thumb null bone, the thumb rig moves. 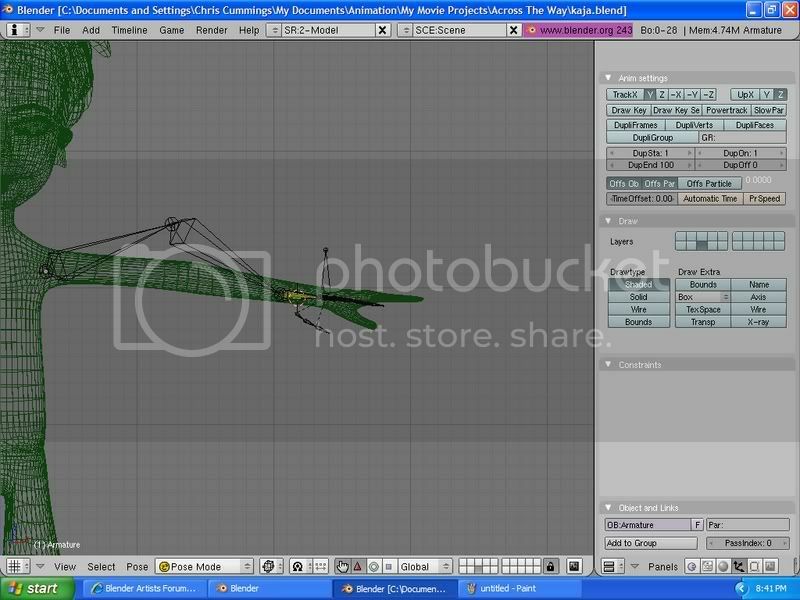 then when i rotate or grab the thumb IK bone its as if the rig is crashing!! can anyone tell me whats going on?! thank you patdog. that was my problem. 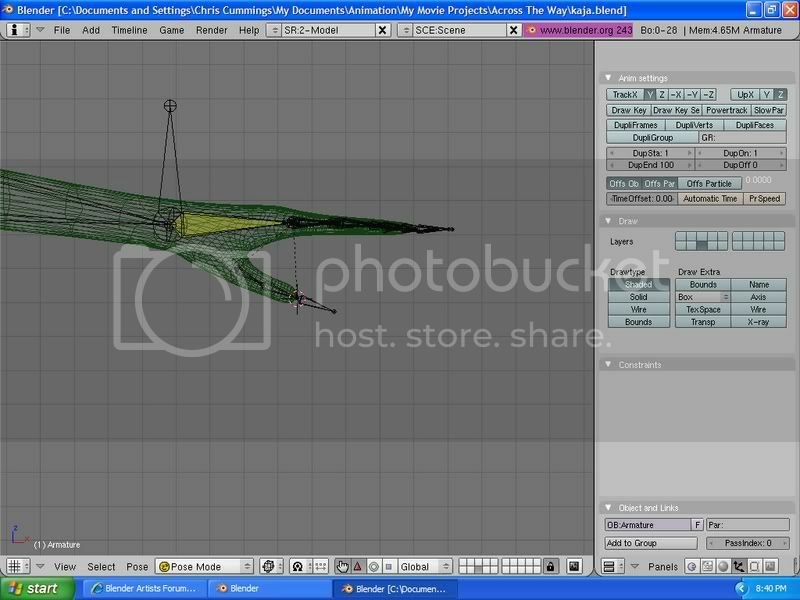 i added an IK solver constraint to the loarm bone and BAM!! it works. Thank you for pointing that out.